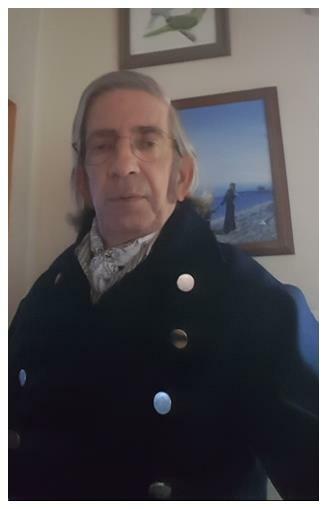 Fascinated with the age of sail and the great sailing navies, D. Andrew McChesney served in the modern US Navy as an aviation electronics technician. Sometime after completing a twenty-two year career he revived and revised a story first conceived in high school. The first two books of the Stone Island Sea Stories are complete and work continues on the third. He edits the Rear Engine Review, the Inland Northwest Corvair Club’s monthly newsletter. An essay, Tennis Balls and Broadsides won first place in the initial Author! Author! Periodic Awards for Expressive Excellence, and was published in Gray Dog Press’ Spoke Write. The next book of the series placed second in the Author! Author! Great First Pages Contest. Usually answering to Dave, he is past President (2008 – 2012) and current member of Spokane Authors and Self-Publishers (SASP), a member of the Pacific Northwest Writers Association (PNWA), and has recently joined the Historical Novel Society (HNS). He resides in Spokane, Washington with his wife Eva, daughter Jessica, a Quaker Parrot named He-lo, a corn snake called Teako, a 1962 Corvair Rampside known as Tim, and a 1965 Corvair Monza coupe identified as Ralph. Patiently waiting to win the lotto or for his book(s) to become best-sellers, Dave works in janitorial services with a local private club. Dave at his second ever book signing!